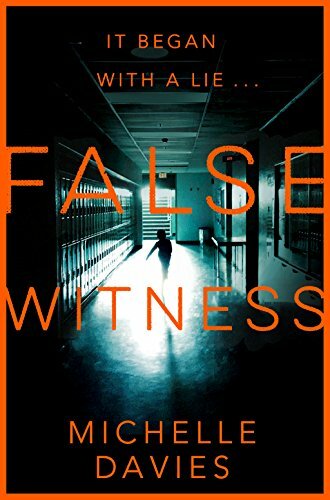 Today I have the chance for you to win a paperback copy of False Witness, the latest in the DC Maggie Neville series from Michelle Davies (UK only). To enter, click on the link below. You have until midnight UK time on Tuesday 25th September to enter and I’ll select a random winner through Rafflecopter on Wednesday The book was published by Pan on 20 September and you can order a copy online here. It will also be available from all good book retailers. Michelle Davies was born in Middlesex in 1972, raised in Buckinghamshire and now lives in north London. Her debut crime novel, Gone Astray, was published in Hardback in March 2016 and features Family Liaison Officer DC Maggie Neville as its central police character. The paperback version is due for publication on 20th October 2016. Gone Astray was part of a two-book deal with Pan Macmillan and the follow-up, Wrong Place, also featuring DC Neville, is due for release on 27th February 2017. When she’s not turning her hand to crime, Michelle writes as a freelance journalist for women’s magazines including Marie Claire, Essentials, YOU and Stylist. Her last staff job before going freelance was as Editor-at-Large at Grazia and she was previously Features Editor at heat. She began her career straight from school at 18, working as a trainee reporter on her home-town newspaper, the Bucks Free Press. Thanks for the giveaway Joanne! I’ve not read anything by this author before. Thanks for introducing me to Michelle Davies, I’ve not come across her work before; it sounds like a gripping read. Thanks for taking the time to host a giveaway.